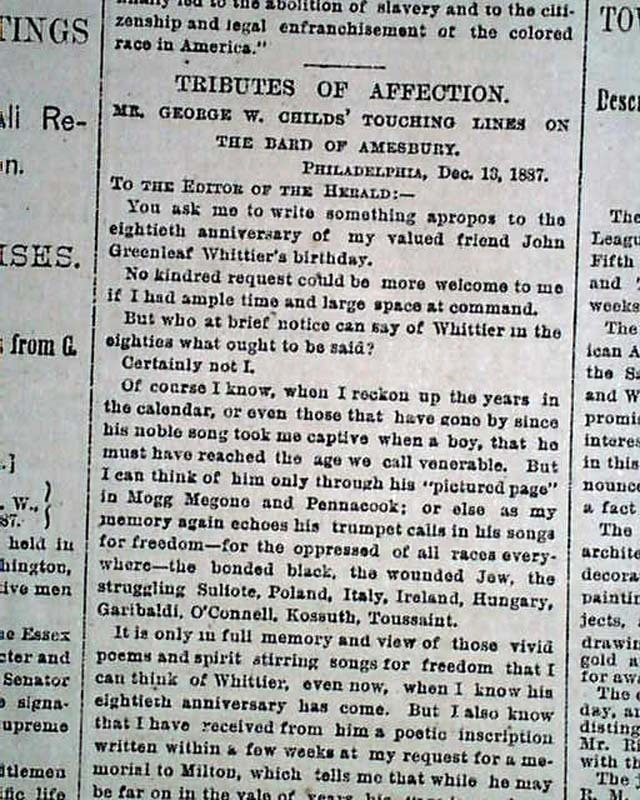 Page 3 is almost entirely dedicated to tributes and accolades for James Greenleaf Whittier in recognition of his 80th birthday. 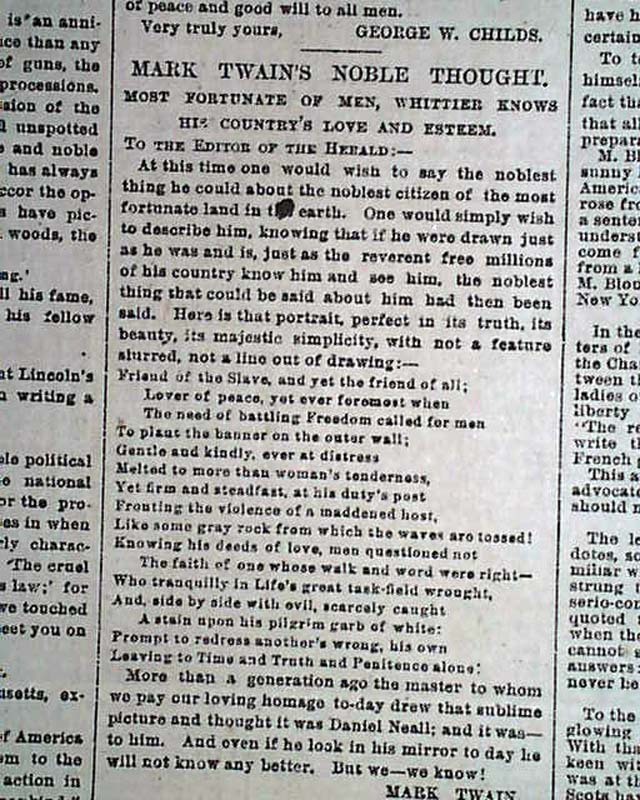 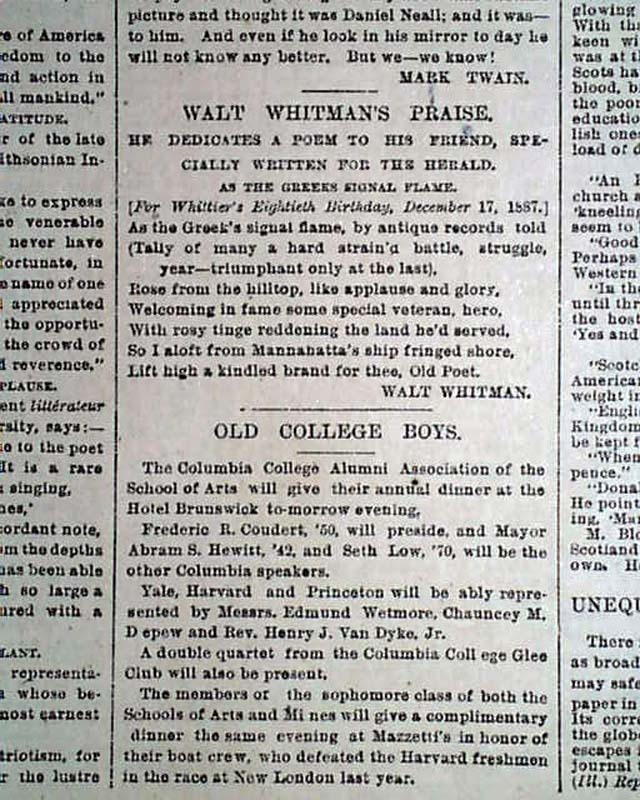 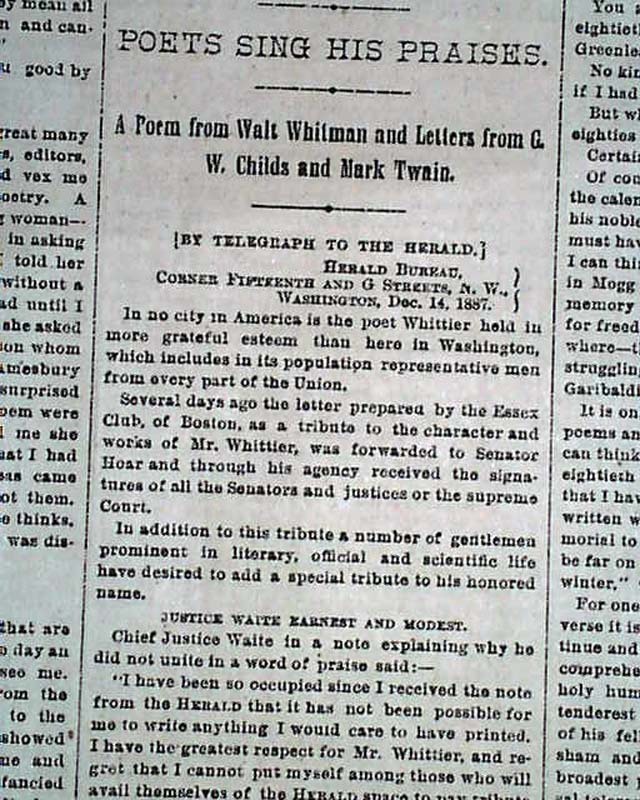 "As The Greeks Signal Flame" is a Walt Whitman's contribution, and is self-described as a dedication to his friend, and was written specifically for the New York Herald. 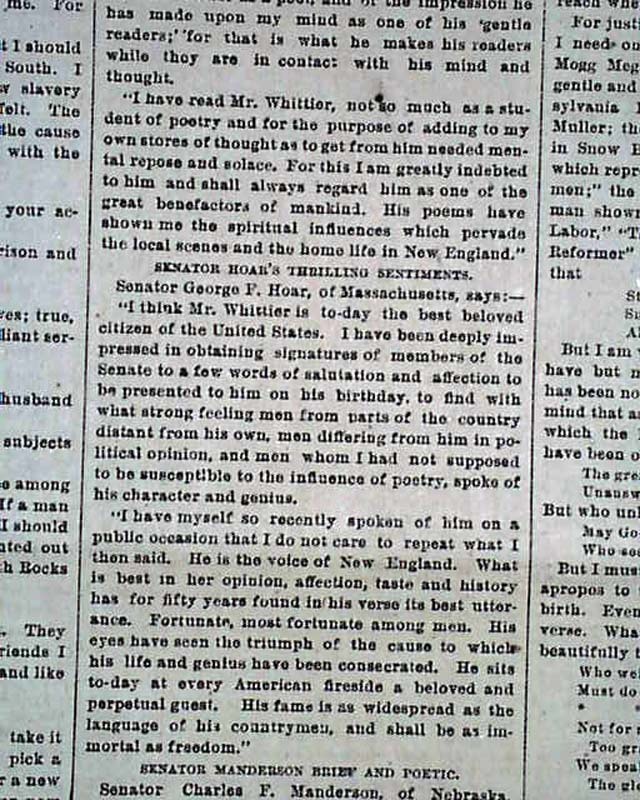 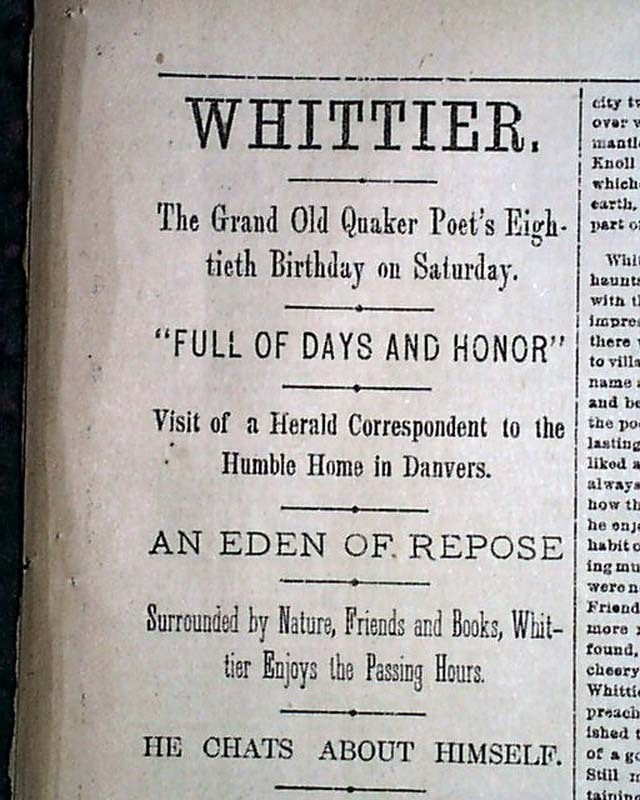 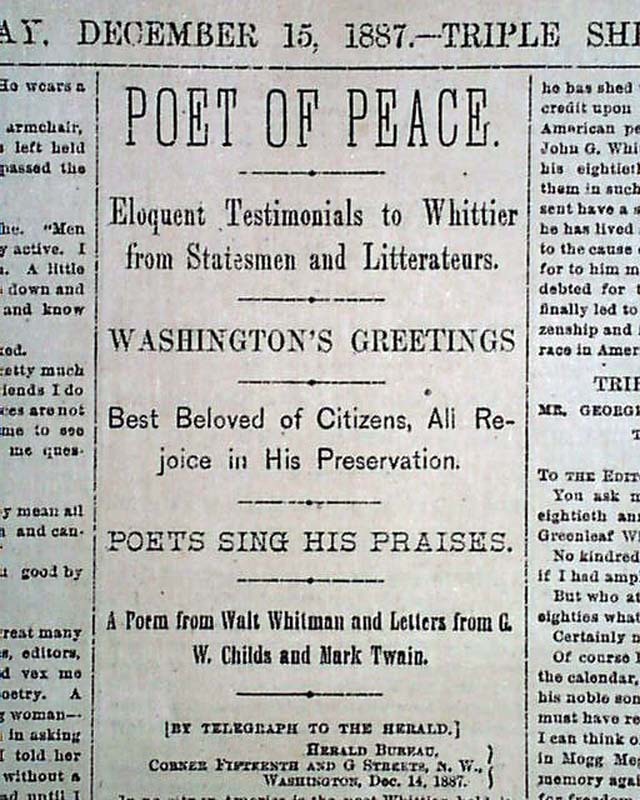 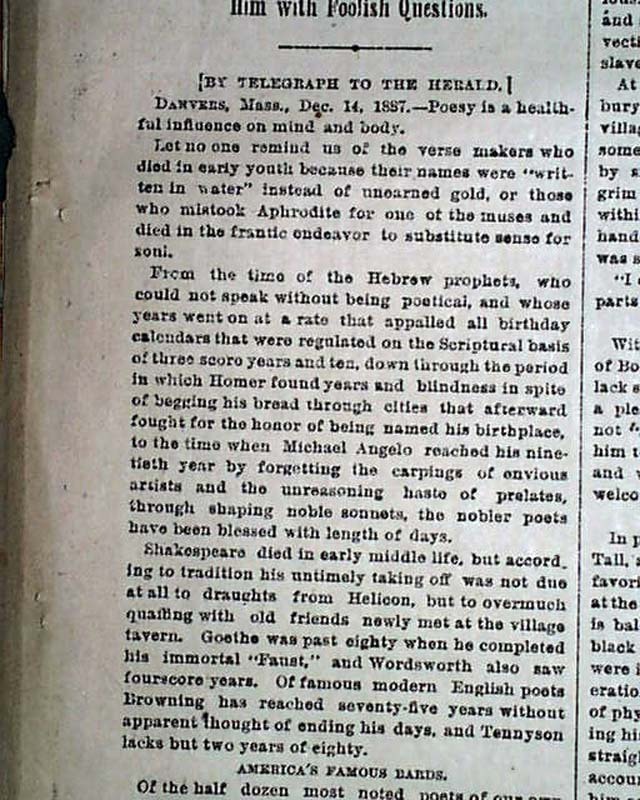 In the same column is Mark Twain's poetic thoughts, which begin, "Most Fortunate Of Men, Whittier Knows His Country's Love And Esteem." 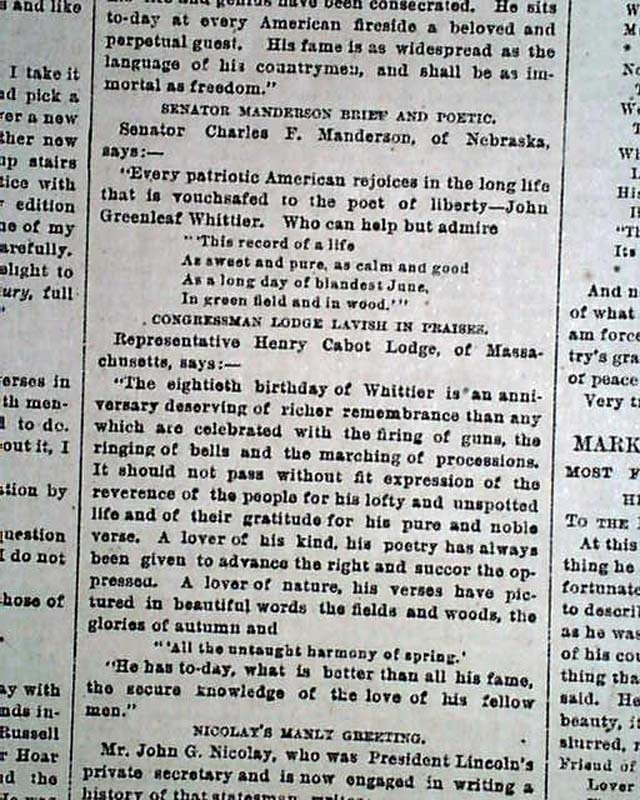 The affection and respect both men had for Whittier is quite clear. 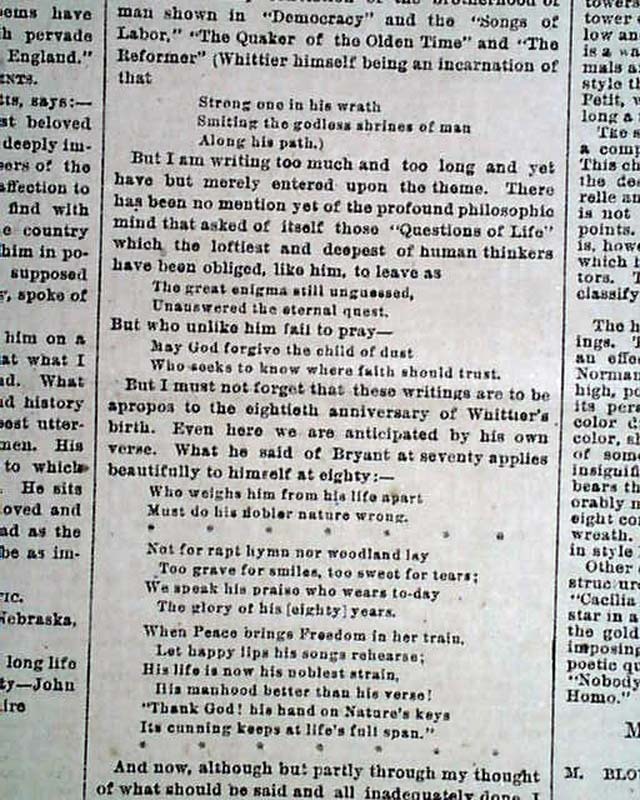 Others weigh in as well, and a lengthy summary of his life and update of his present circumstance are included. 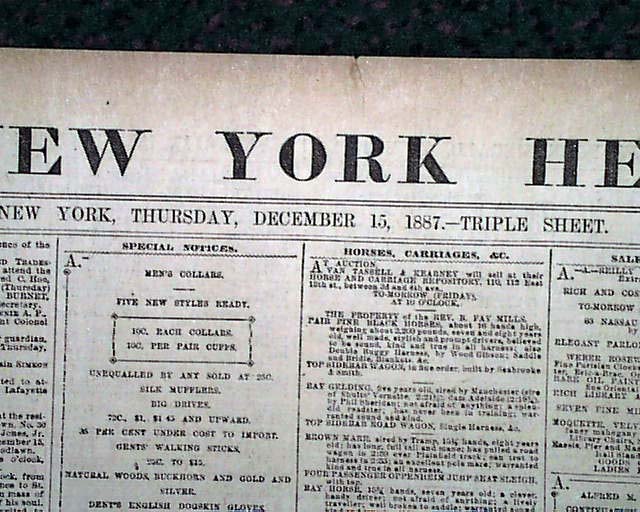 Other news of the day is found throughout. 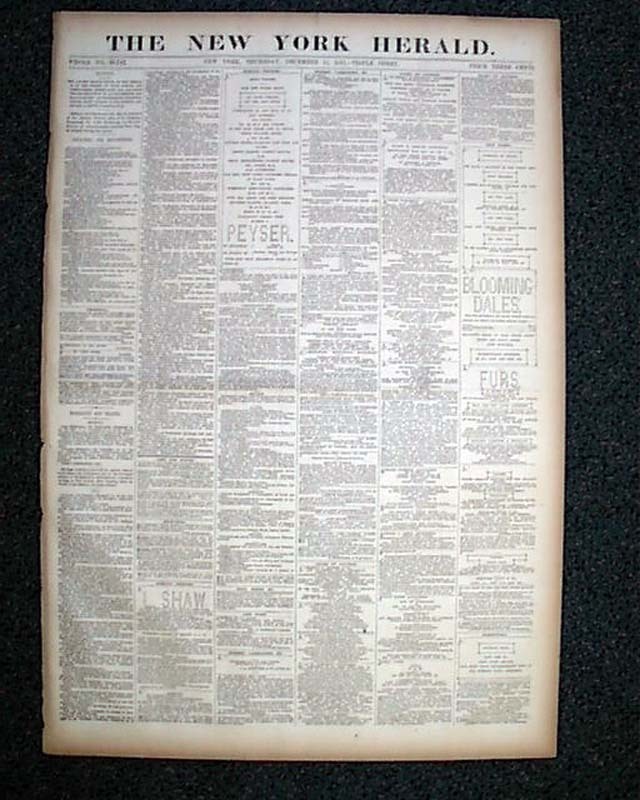 Complete in 12 pages, light browning, otherwise in good condition.